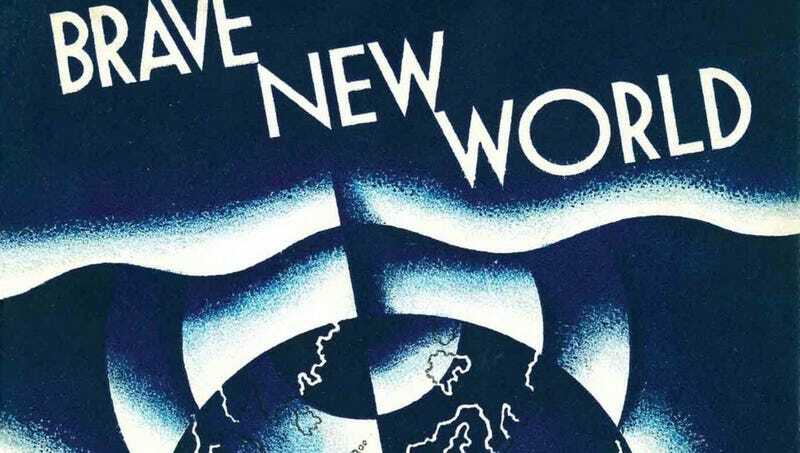 The cover of Brave New World. Today, The Hollywood Reporter says the network announced that Fear the Walking Dead producer David Wiener has signed on to write and showrun the 10-episode-long first season that’s set to film in the U.K. Black Mirror: San Junipero’s Owen Harris is attached to direct. Grant Morrison and Brian Taylor are also still attached. While specific details about the series have yet to be announced, it’s likely to be a rather straightforward adaptation of Huxley’s classic story about a dystopian future in which society is strictly stratified, personal decisions about their bodied and emotions are regulated, and a disillusioned psychologist realizes that he’s going through life keenly unfulfilled. No premiere day yet but we’ll bring you more as we know it. Correction: An earlier version of this post stated that this would be the first televised adaptation of Brave New World, but there have actually been two television films directed by Burt Brinckerhoff in 1980 and Leslie Libman and Larry Williams in 1998. We regret the error.